It’s been called a necessary evil. Stamp duty is a leftover from colonial days when governments taxed a range of transactions as a means of revenue raising. While we no longer have to pay government ‘stamps’ for some exchanges, like pigs and cattle, prospective home buyers know only too well the degree to which this onerous tax can impact their plans. Here’s one of my recent Saturday Courier Mail articles, in case you missed it. Stamp duty – the burden for all seasons. Queenslanders are better off than others when it comes to this onerous tax. Stamp duty can be a significant burden – often affecting first home buyers and downsizers – forcing some not to buy and forcing others to remain in unsuitable accommodation as they age. Australia has one of the highest property taxes in the world and in spite of calls for stamp duty reform, our state governments appear hooked on the revenue – reluctant to give up the billions of dollars they rake in each year as properties change hands. Based on the numbers, it’s easy to understand the attraction for governments. Last year, for example, close to $13 billion was siphoned from Australian property buyers into stamp duty coffers. The bottom line is that the removal or even reduction of this tax, would help support the real estate industry and set in motion trickle down effects to help boost the economy. In simple terms, more people would buy and sell. They would move more often and help improve labour inefficiencies and, in theory at least, productivity. 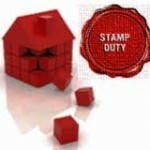 The cost of stamp duty varies from state to state. The tax is calculated based on the value of the property being transferred. The good news for Queenslanders is that not all burdens are equal. On a state basis, Queensland is on top when it comes to paying less stamp duty for median priced homes. The Housing Industry Association reports that based on a median-priced property at July this year, owner occupiers purchasing in Queensland were taxed $5,600 in stamp duty. 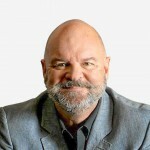 In comparison, Victoria topped the states with a tax burden of $24,050; followed by New South Wales ($19,230); Western Australia ($17,530); Australian Capital Territory ($16,550); Northern Territory ($15,950); South Australia (14,830); and Tasmania $8,535). Lack of uniformity across the country in duties payable, is another issue that can impact local markets. The irony of stamp duty fluctuations is not lost around the northern New South Wales and Queensland border. A buyer purchasing a $500,000 property in Tweed Heads, for example, would need to pay $9,000 more in stamp duty, than if the property was located in neighbouring Coolangatta, some seven minutes away. But until we see reform, there’s just no avoiding this tax. If you live in the right state, and are in the right bracket, some concessions may be available. But for the most part, they are quite prescriptive. Queensland offers concessions for owner occupiers and for first home buyers of houses under $505,000 and land up to $250,000. New South Wales and Tasmania offer no concessions. And seniors and pensioners will have to purchase in either Victoria or Northern Territory to get any kind of a break.